Nancy and Steve Hathaway created Heart for Orphans after adopting children from Ukraine and seeing a system in need of help. Natalie Hathaway Vaughan didn’t fully realize what a Dickensian nightmare her life could’ve been until she returned at age 16 to her hometown of Berdyansk in southeast Ukraine. She and hundreds of other Ukrainian orphans can thank her adoptive parents, Nancy and Steve Hathaway, for lives of hope rather than chance. The Hathaways adopted Vaughan and brought her into their Williamsburg home in 2001, when she was 9. Within a year, they also adopted Vaughan’s 9-year-old friend Angelina and 14-year-old Sveta Elisabeth out of the same Ukrainian orphanage. In the ensuing years, the Hathaways help set up scores of adoptions, including 39 choir members of their daughters’ former orphanage they hosted in Hampton Roads one holiday season. 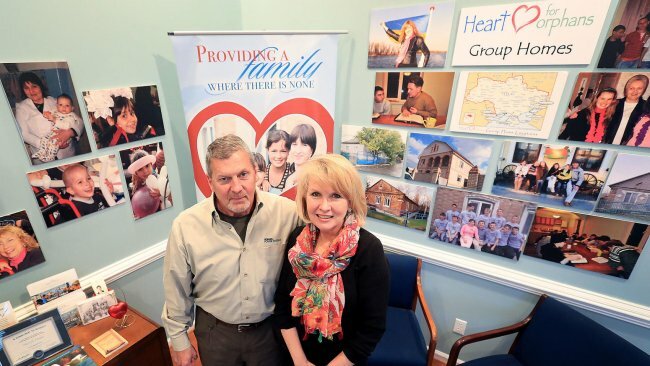 Then in 2007, Nancy and Steve, devout Christians, made helping Ukrainian orphans their ministry by founding the Williamsburg-based Heart for Orphans charity. 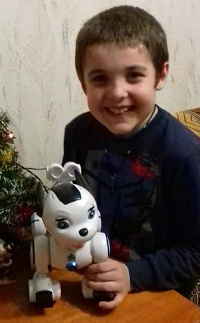 Their first big project was opening a transitional home in Berdyansk for orphaned boys older than 15. 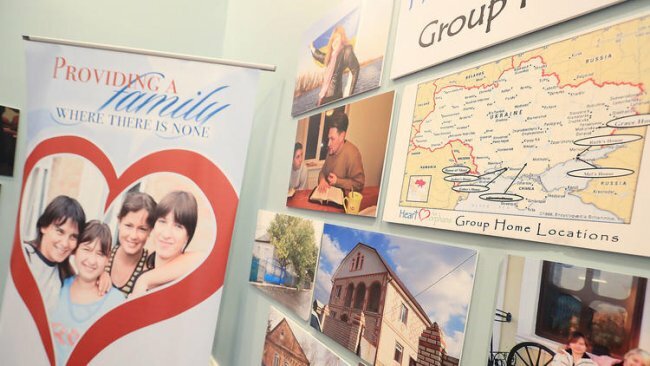 That’s the age when Ukrainian orphans must exit the orphanage system and essentially fend for themselves, something Vaughan says is often catastrophic. 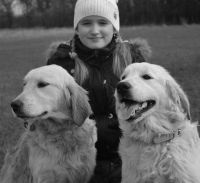 The thought that it could have been her sent a shiver up Vaughan’s spine as she walked the streets of Berdyansk that autumn day in 2008 with her parents and sisters. It also filled her with a feeling of gratitude for what her parents had done — and were doing — for orphans. “Pretty much when you age out of the orphanage at 15 or 16, you end up on the streets and there aren’t nice people out there,” said Vaughan, now 25 and a hairdresser living in Williamsburg with her husband and 2-year-old son. “For a female, you pretty much end up doing prostitution or do whatever you can to get by, and for guys you end up doing drinking or drugs. “As I was walking the streets and looking at the (drug) needles lying on the ground I was thinking, ‘this would’ve been my life if they didn’t adopt me.’ Instead, here I am living in a cozy house, I have two parents who dedicate their attention and love to us, going to a private school (Williamsburg Christian Academy). I told her I was so lucky that she (adopted) me. 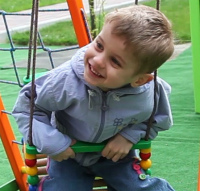 Heart for Orphans now operates four transitional homes in Ukraine, two each for boys and girls ages 16-22. Typically, about 12 orphans occupy each and are taught essential life skills, introduced to Christianity and shown love by the house parents. “They don’t have one single individual parent, but in every home there’s a mother figure and a father figure, which is not something you get in an orphanage,” Vaughan says. “They get to feel that love and protection and have somewhere safe to sleep at night without feeling something bad is going to happen to them. The Hathaways’ lives were plenty fulfilled when they adopted their girls 16 years ago. Nancy had enjoyed a busy career in front of and behind the camera in modeling and entertainment, perhaps best known as the villain Nancy Lawson on the Christian Broadcasting Network soap opera “Another Life” from 1981-84. Steve has run a successful business, Hathaway Generators, in Williamsburg for more than 30 years. They say they got the calling from the Lord to adopt shortly after their son, Damian, moved out on his own. 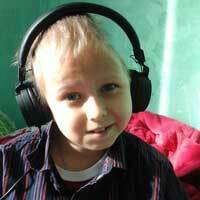 Vaughan stole their hearts on their first trip to Ukraine. Within a year, they were raising three girls and loving it. We all just fit as a family. All three girls have adjusted well. Sveta Elisabeth (Spivey), 29, is a nurse, married and expecting her second child this year. Vaughan has shifted from full-time to part-time as a hairdresser to spend more time with her son. Angelina, 25, works in her father’s business. 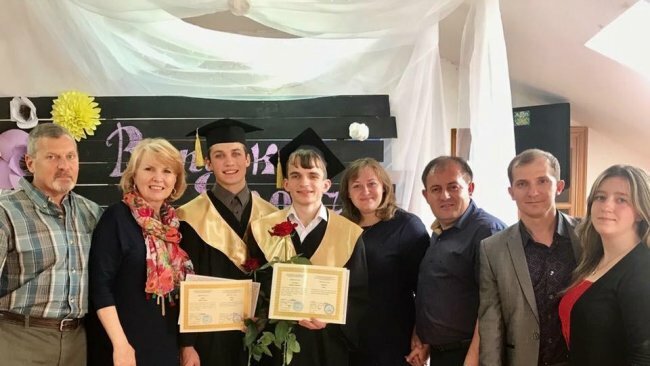 The only regrets Nancy and Steve Hathaway have felt is that they could not adopt, or facilitate adoptions, for so many of the other orphans they met in Ukraine. 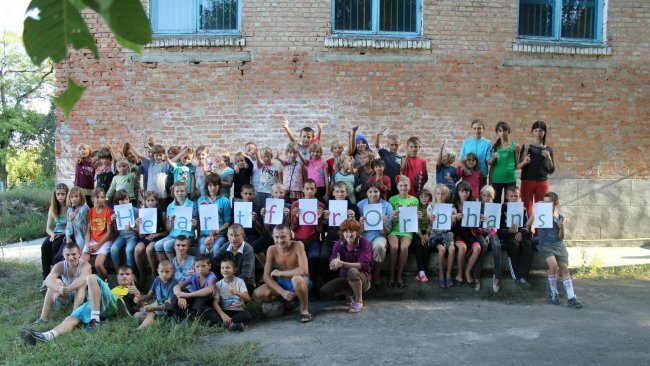 So they founded Heart for Orphans, which has grown to a staff of four in the United States and nine in Ukraine. Nancy Hathaway runs the charity full-time, but because it’s a ministry, does not take a salary. Steve helps in his spare time and provides financial support, as do donations from individuals. In addition to the transitional homes, Heart for Orphans provides advice and support for older teens and single mothers through its mentor program. The outreach program is designed to give orphans ages 5 to 15 love, support and fun, while teaching about Christ. Some of those kids move on to the transitional homes. The Hathaways wish they all could. “It’s been a huge blessing for us,” Nancy Hathaway said. “Nothing is more fulfilling than seeing kids headed in the wrong direction turn their lives around. “In this country we’re so blessed with good things, good health and good friends. When you see the situation in Ukraine, see the kids crying out for help, you’ve got to do something. News about international adoption in Ukraine Publication from mass-media and TV Only good news!